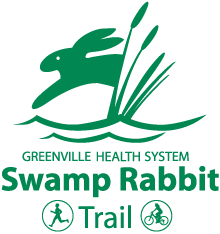 The GHS Swamp Rabbit Trail in Greenville County has provided significant health and economic benefits to Greenville County’s citizens and visitors. That’s why extending it through Laurens County is our top priority. Our initial plan is for the 6-mile section between Laurens and Clinton, alternating between natural beauty portions through fields and forests, and portions closer to businesses for economic development purposes. Currently (April 2018) we’re getting ready to approach land owners to discuss their interest in the trail and the possibility of a trail easement on their property. We’re optimistic that property owners will be attracted to the benefits to them and to the community. The experience in Greenville and Spartanburg counties has shown that people living on trails are very happy to have such easy access and that properties on trails are in higher demand to buyers. We expect that discussions with property owners will take us into the summer and then engineering and construction can begin with a 2-mile stretch around and near the Laurens County Memorial Hospital. After four years of planning we’re finally getting close to a real trail, so this is an exciting time for all of us at LCTA and hopefully for our friends and neighbors too. Thanks for your support and your patience and watch this space for information and updates.